At Raasay House we welcome you and your four legged friends. Dog owners can enjoy meals in our bistro and bar alongside their dogs. We’ll even set you up in a breakfast area that you can bring your dog to if requested. 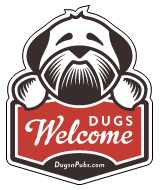 There are a total of 4 dog friendly listings in the Scot Islands category. Please log in, or sign up as a member to view all listings.